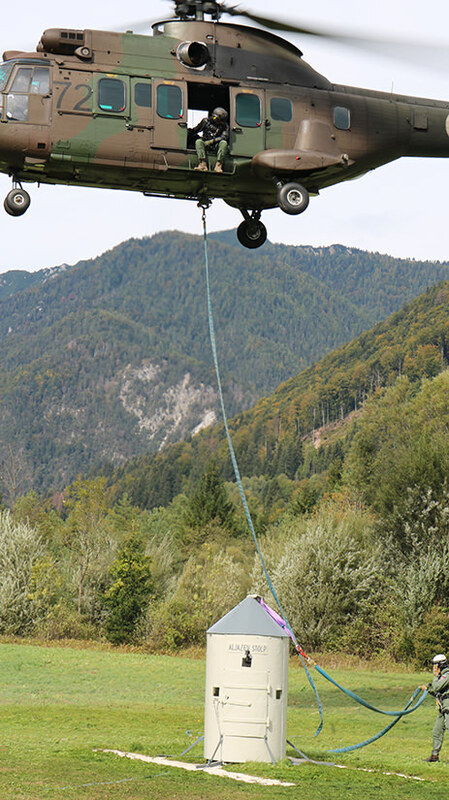 In September, the Institute for the Protection of Cultural Heritage of Slovenia led the renovation project of the Aljaž Turret, one of the most iconic objects in Slovenia. 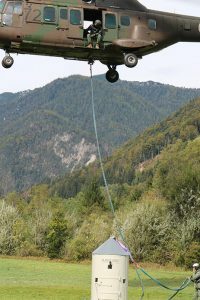 Following the helicopter transport to the valley, the Slovenian symbol was handed to conservators and experts of different professions. 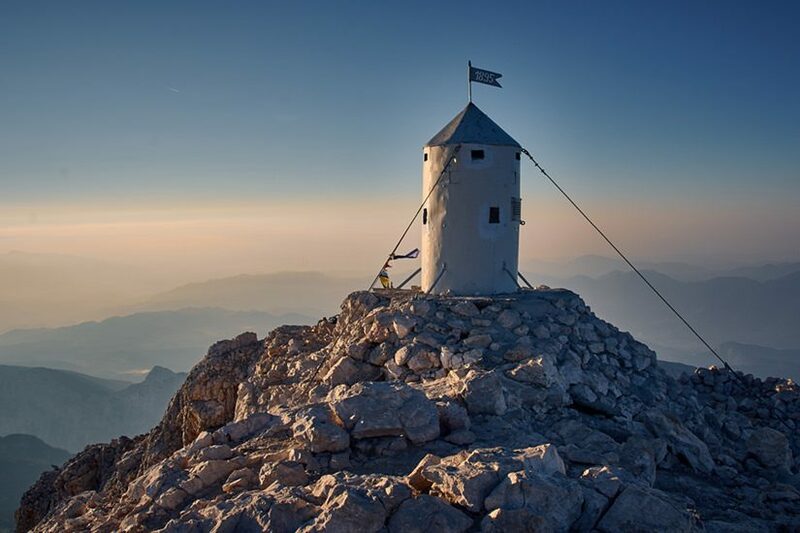 Thanks to their joint efforts, after the three weeks of extensive work, the Aljaž Turret got a new look and was returned to where it belongs – the top of the highest mountain in Slovenia, Triglav. An important part of the renovation of the Aljaž Turret was its anti-corrosion protection, as the Turret must resist the harsh weather conditions of high altitudes and other damage caused over time. As experts in anti-corrosion protection, the Helios Group used the unique chance to be a part of the project with it’s extensive know-how and a donation of the appropriate coatings. The experts from Helios, together with Dr. Saša Skale from SKALA Poljčane, who prepared an anti-corrosion protection study, selected the appropriate coatings and provided technical support and supervision during their application. The renovation of the Aljaž Turret and its anti-corrosion protection had to be carried out as optimally as possible and within the limits allowed by the conservation-restoration profession. 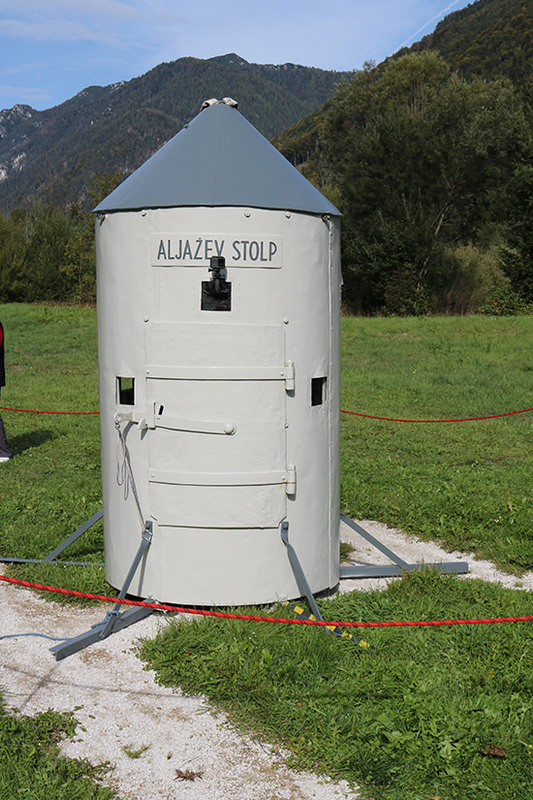 Even though the Aljaž Turret is located in the middle of the Triglav National Park in a rural environment with low atmospheric pollution, a proposed corrosion category was one level higher than the formally suitable. The proposal was also based on the fact, that in the future a much higher atmospheric corrosion strain is expected. The persistence of anti-corrosion protection systems was defined at the highest current level. After the initial inspection of the various parts of the Aljaž Turret, individual anti-corrosion protection approaches were defined for the metal jacket and roof, and the steel bearing profiles and rings. 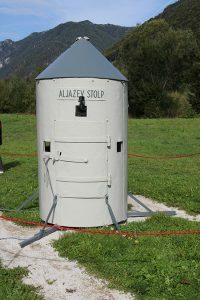 The levels of anti-corrosion products varied from part to part of the Aljaž Turret and a goal was to preserve as many original parts as possible. Prior to the start of the metal works, all old coatings had to be removed. 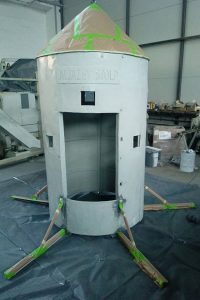 Next came the individual procedures for the individual parts of the Aljaž Turret (sandblasting, cleaning, washing, etc. ), to prepare the surface for the application of the coatings. When these works were completed, the application of the primer, intermediate and top coatings began. 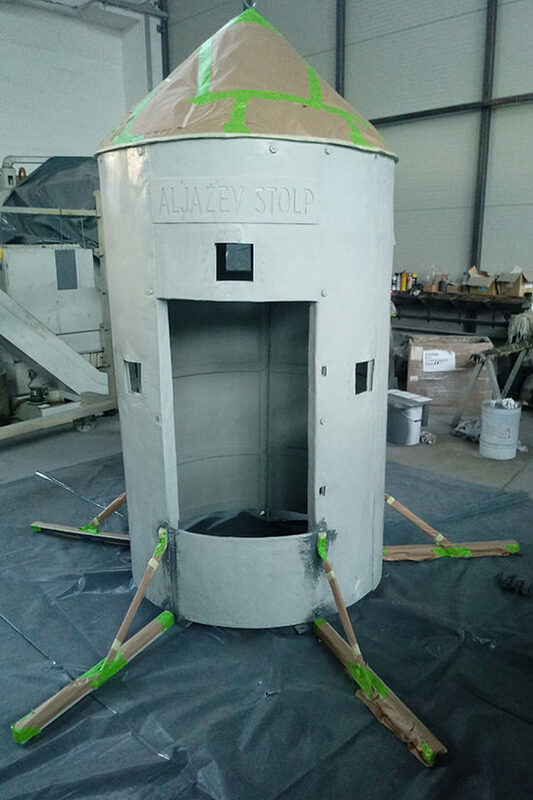 Helios coatings gave the Aljaž Turret new anti-corrosion protection and the desired external appearance. Thanks to the dedicated work of Helios experts and coatings, the Aljaž Turret will further shine in all of it’s glory.